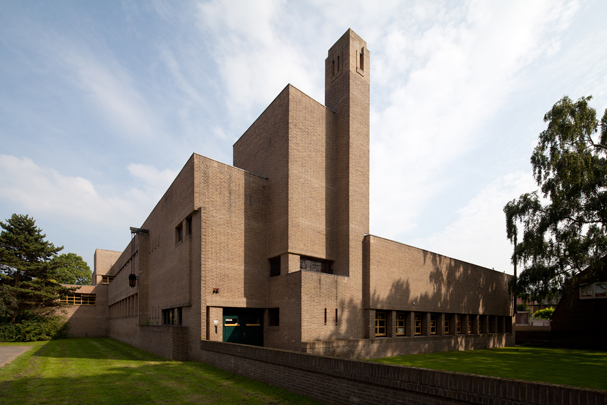 Dudok's schools are generally built up of two or three main blocks, topped with a tower-like structure at entrance and staircase. Many components contain direct allusions to his town hall design. Typical Dudok elements are the elongated strips of fenestration with their remarkable subdivisions, the cantilevers, and the use of colour and material (bricks of two colours, flat brick-types, tiled columns).